Broken Wings is back with a one-on-one interview with Birds of Prey star Ashley Scott! Ashley has had an amazing career, from her beginnings as a model to roles in A.I. : Artificial Intelligence, Into the Blue, Jericho and the Lifetime hit Unreal. But she will always be best known on Broken Wings by the name Huntress. Host Matt Truex talks in depth with Ashley about her start as a model, her career change to acting, and every step of her Birds of Prey experience. Follow Ashley on her website ashleyscott.com or on Twitter @IamAshleyScott. Follow Matt @MatTruex and @Brokenwingspod. 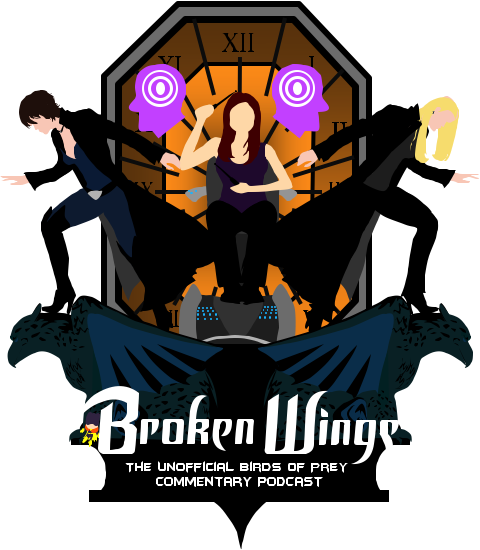 Be sure to check out more Birds of Prey news and articles at brokenwingspodcast.com. 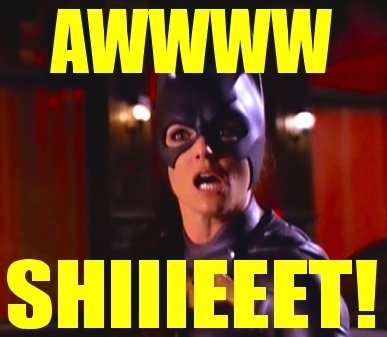 To any Batfan who’s never taken The WB’s 2002 to (just barely) 2003 series Birds of Prey seriously, take a few minutes to consider the following. Birds of Prey was the first entry into Batman’s live action television journal since the days of Adam West. Taking its cues from the Tim Burton films and Batman: The Animated Series, Birds of Prey had a lot to offer fans by way of firsts, with live action versions of Oracle, Harley Quinn, Lady Shiva, and even Clayface among them. 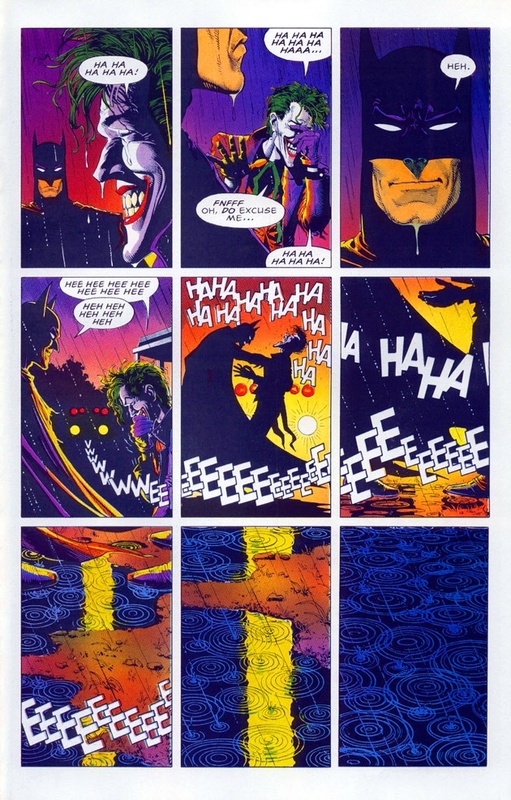 Most notably though, the series was the first medium beyond the comics page to tackle elements of Alan Moore’s seminal classic, The Killing Joke. 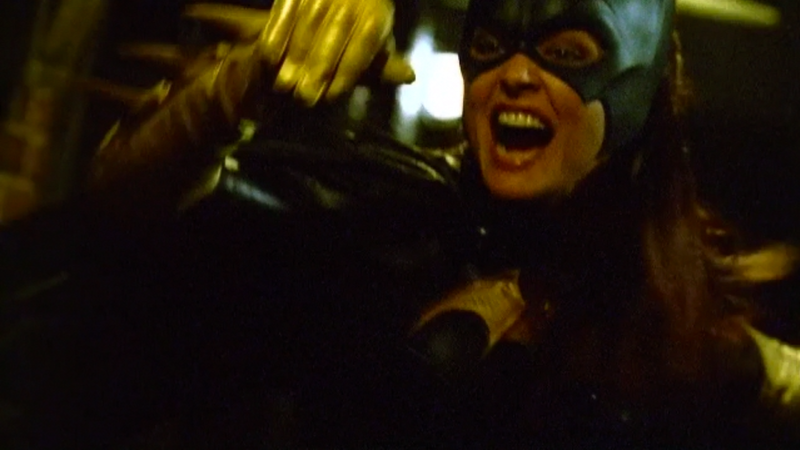 Though a key moment of the story is only briefly depicted in the pilot episode, the Joker’s crippling of Barbara Gordon is so essential to the series that without it there is no reason for the Birds of Prey team to exist. 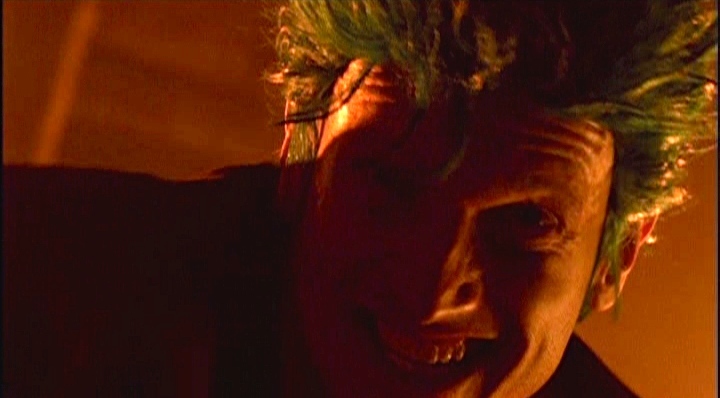 The Killing Joke is a modern classic that has sparked countless conversations and controversies since it’s publication in 1988, but none more relevant to Birds of Prey than what we’ll call the Final Fight analysis. In this reading, the classic story doesn’t end with Batman and Joker sharing a laugh at a bad joke, but instead with Batman, after giving the Joker one last chance to start anew and seeing the futility in their ongoing battle, killing the Clown Prince. While the ongoing publication of Batman comics with a very much alive Joker character might seem proof enough to discount this theory, it is important to note that Birds of Prey presents no such world. Instead, the show’s universe is one where Batman and Joker are notably absent, with only their respective legacies (Huntress and Oracle, Harley Quinn) left to represent them in Gotham. But is the absence of these two icons and the repercussions of the Killing Joke story elements enough to view Birds of Prey’s world as one where Batman breaks his one rule? Birds of Prey centers around two superhero women and their new protégé protecting the city of New Gotham (Gotham City post a No Man’s Land level earthquake). Leading the team is Barbara Gordon, the Oracle. Barbara once operated under Bruce Wayne as Batgirl. This was the way of things until Batman and Batgirl’s final battle with the Joker. The villain was defeated and gift wrapped for the police by the dynamic duo. However, the Joker briefly escaped custody that night, using his final free moments to shoot Barbara in the spine and send a man to kill Selina Kyle, the Catwoman and Bruce Wayne’s one true love, in front of her daughter Helena, Bruce’s unknown child. Barbara was paralyzed by the injury and has since rebuilt her life and alter ego as a wheelchair bound hacker. Her muscle in the field is Helena, the Huntress, who has grown up to follow in her parents’ footsteps. Helena did not know who her father was or what her mother used to do with her nights until after Selina’s untimely death. The series gave very little service to where Bruce Wayne was at the time. In the pilot episode, Barbara Gordon tells Dinah, the young runaway and would-be-Black Canary had they made it to season two, that after the night she was paralyzed and Catwoman was killed, Bruce stayed around (New) Gotham for “a few months” and then up and disappeared. While it is unknown whether he was active as Batman during those months, we do know that during this time he met Helena for the first time, where upon she asked him to find and kill her mother’s then unknown murderer. Bruce refused, thus beginning Helena’s trademark daddy issues that plague her throughout the series. The only other piece of information we know about Batman is given to us in the last scene of the series, when Alfred, relaxing with a brandy by the fireplace at stately Wayne Manor, finishes up a conversation with “Master Bruce”. To quote Mr. Pennyworth: “And Master Bruce, your daughter is doing very well. You should be most proud. Most proud indeed.” First off, given the final episode’s citywide riot and his daughter’s roles in ending said violence, why in the name of God would Alfred wait to mention Helena until the end of the conversation? Regardless, this small, one-sided exchange confirms that Bruce is not only aware of his daughter’s current activities, but also that Alfred is, at the very least, occasionally contacted by him; more likely that he knows Bruce’s current location. To sum up, Bruce Wayne is alive, stayed in New Gotham for several months after the Joker’s attack, has knowledge of the Birds of Preys’ activities, and is at least occasionally in touch with Alfred. While the clown being locked up may seem like a logical conclusion to draw from the show’s reality, this is not true in the world of Batman. As Max Schadler so succinctly mentioned in the Episode Two of Broken Wings, in almost every Batman narrative, whenever the Joker is defeated for the time being he goes to Arkham Asylum to lick his wounds until he can hatch another plan. Due to the criminal’s perceived mental state, incarceration at a penitentiary level has never been attempted as his damaged, fractured mind belongs, in the eyes of New Gotham lawmakers, in an intensive psychiatric care program at the local asylum. Harley’s statement flies in the face of any logic a Batfan can bring to the world of the Dark Knight. The line presumes that, against all odds, the legal system of New Gotham City, after years of doing otherwise, somehow saw fit to send a known psychopath, brought to justice by a masked vigilante who, in this world, most citizens never even knew existed, to a high security prison, far beyond the city’s jurisdictions and control. It is an explanation that just doesn’t make sense! Additionally, throughout the series, despite the fact that Barbara Gordon is the leader of the Birds team, there is one mention of her father, Commissioner Gordon’s, role in the war on crime, though the Birds deal as much with the (N)GCPD as Batman did in his day. For starters, the Joker isn’t in any prison. The Final Fight theory supposes a much different fate for the Clown Prince of Crime, stating that in The Killing Joke’s final panels, Batman takes the Joker’s life in sight of approaching police vehicles. While this theory has been discussed since publication, it was recently brought to light when famed Batman writer, Grant Morrison, discussed the subject on Kevin Smith’s long running podcast, Fat Man on Batman. And though the theory is disproven by the continued publication of Batman vs. Joker stories in the comics, it does throw into the spotlight a possibility in the Birds of Prey narrative that was never explicitly dealt with in the series. As Barbara tells Dinah in the pilot episode, she and Batman had worked tirelessly to take down the Joker’s underworld infrastructure. Their work finally pays off one night and the duo find the clown in the middle of an inferno in the New Gotham dockyards. A beam almost falls on the Joker which likely would have killed him had Batman not swept in just in time to save him, a mistake he will pay for dearly. The Joker is beaten and handed over to (the presumably active) Commissioner Gordon. Sadly though, fate being almost as corruptible as the city itself, Joker slips the noose of the NGCPD for a few hours which proves to be just enough time to send (Spoilers!) Clayface to kill Selina and to attack Barbara himself. 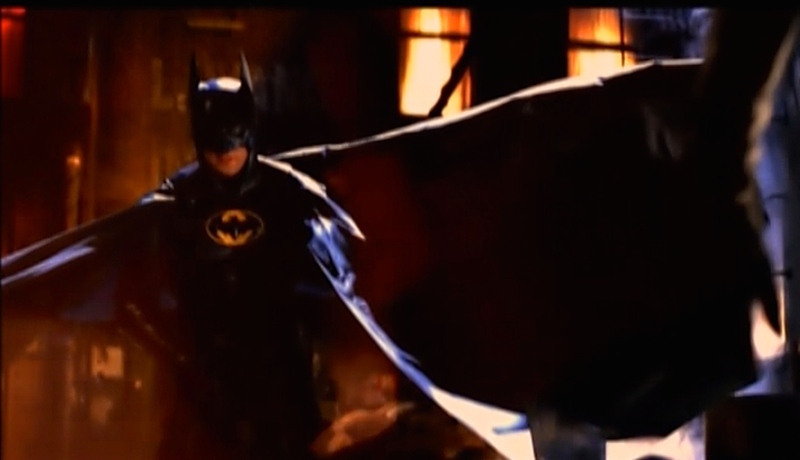 As both women are close to Batman and attacked out of costume, these two acts are clearly done as a message to Batman and any in his inner circle. If Joker discovered that Selina Kyle is Catwoman and Barbara Gordon is Batgirl, he must also have known the identity of the man behind the bat. These attacks are a checkmate against Batman. Not only has Joker figured out everyone’s dirty little secrets, but has, without provocation, stepped beyond the arena and attacked two people dear to Bruce Wayne’s stone cold heart. 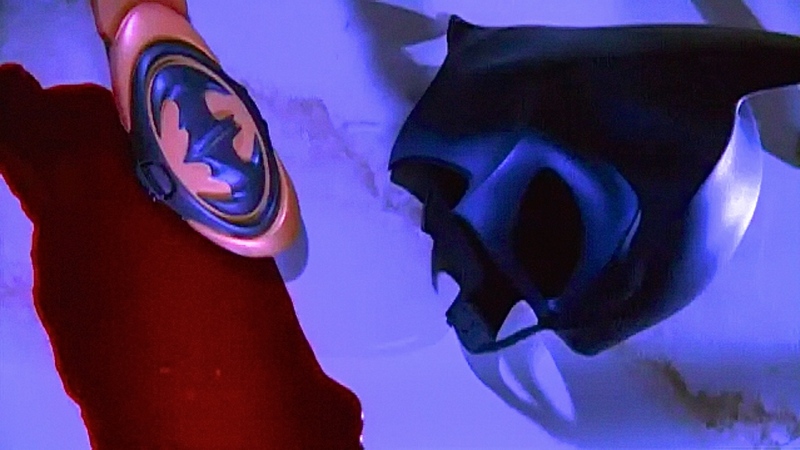 Rather than make more loved ones suffer the pain that is soon to follow them, Batman instead tracks down the Joker and stops him for the second time in the same night. Only this time, the effect is permanent. Though well beyond his legal right to do so, neither Batman nor Commissioner Gordon could possibly be operating in their right minds after what the Joker had done. The evidence was covered up and, those few citizens and police officers who knew of the Batman’s existence were fed an easy to swallow, tough to dismiss story about a far away prison capable of keeping the Joker out of New Gotham for the rest of his life. Wracked with guilt, Commissioner Gordon retired soon after, severing Batman’s strongest tie to New Gotham law enforcement. Then, lost in regret, Bruce Wayne does what he thinks to be best and removes himself from the temptation of ever being led done the path to murder again. His absence from the series is then not the reclusive move of a heartbroken hero, but a self-induced exile as punishment for finally taking his role too far. This theory takes a lot for granted and I doubt it was on any of the producers’ minds, but that doesn’t mean it isn’t valid. And though I’m sure many fans wouldn’t be comfortable with killer Batman, personally it’s a thought I prefer to any other explanations I’ve encountered. Regardless, there will never be definitive answers to these questions about the Birds of Prey universe. So, I guess the joke is on me. Stunt performed by the way-tougher-than-you-are Caryn Mower. Wouldn’t it have been a great prank from The WB if every time there was an action scene they put in a sound effects card, a la the William Dozier Batman show in the ’60’s? Some day I’d love to see a video of Birds fights with the cards super-imposed. Gotta love it when the woman in the wheelchair is the only one to enter the room secretly. Thankfully, she’s also the only one who thinks to bring a damn batarang.